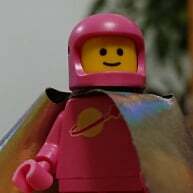 Am I the only one that think brickset should allow you to make a list of pieces you need for moc builders. You need rebrickable.com, or LDD maybe. For me it makes more sense to use bricklink's wish list seeing as I can then use that data to inform my buying decision. The only advantage I can see for a Brickset part wish list would be to discover which sets I own that part might be in, but given that the Brickset inventories come from LEGO's often poor data I think it's easier to do that by looking through bricklink too.